In the 1920s, Ralph Lloyd announced plans to create a second Portland “downtown” in an area of inner Northeast Portland known as Holladay’s Addition. By the 1950s, Lloyd’s plans were coming to fruition as many of the oldest houses in the area were demolished to make way for the construction of the Lloyd Center. Today, the Sullivan’s Gulch neighborhood, located just east of the shopping center contains the surviving architectural remnants of what was once one of Portland’s grandest residential neighborhoods. 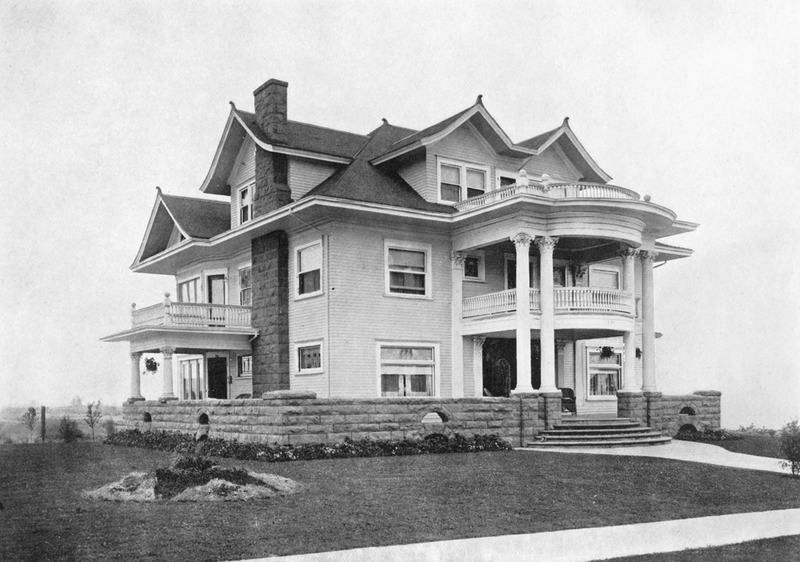 Image: Blazier House, NE 17th & Wasco St. (demolished). Architectural Heritage Center Library.